The Miniflot is an equipment that, by using the dissol­ved air flotation technology, is providing the solid – liquid separation. The floatation tank is circular shaped with self supporting bottom and operate with a low water profile. It results in limited installation space and reduced weight. The flotation process mode may be operational on partial or full flow of the raw water or recycling flow pressuriza­tion of the clarified water. The flotation unit is fed from the centre of the tank throu­gh the central column and from here the water is evenly distributed in the whole surface. Each flotation unit is working in combination with a satu­rator, a high efficiency pressurization system where the air is dissolved into the water in order to generate microbub­bles, the responsible of the process. Before entering the flotation tank, the pressurized water is passing through a suitable valve to reduce the pressure at atmospheric value. In this phase a huge amount of microbubbles gets free from the water and once inside the tank they are lifting up the suspended solids to the surface. A rotating skimmer installed on a movable bridge is remo­ving the floated sludge from the surface, pouring it into a central tank from where the sludge is discharged by gravity. 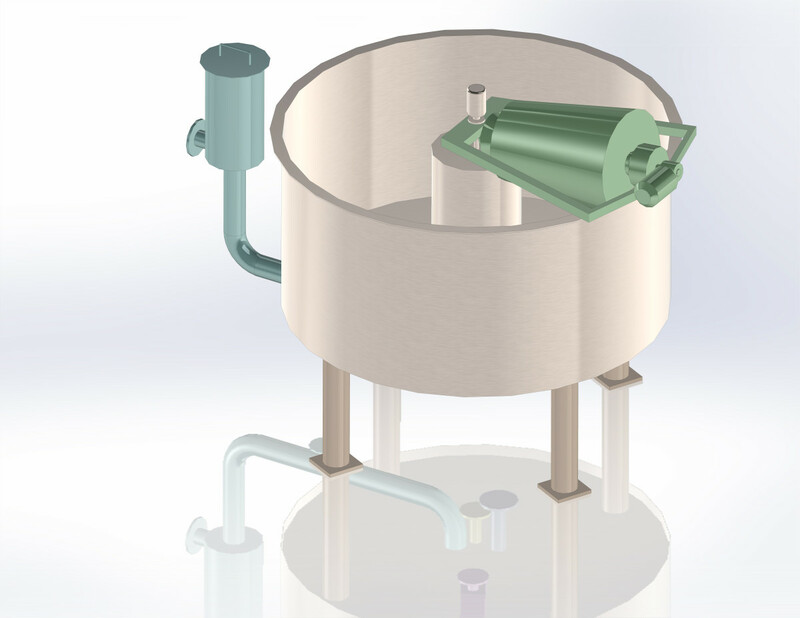 The optimal consistency of the sludge is obtained adjusting the tank water level by acting on the mechanical weir. The clarified water is extracted from the central column and from there conveyed to the level control system. 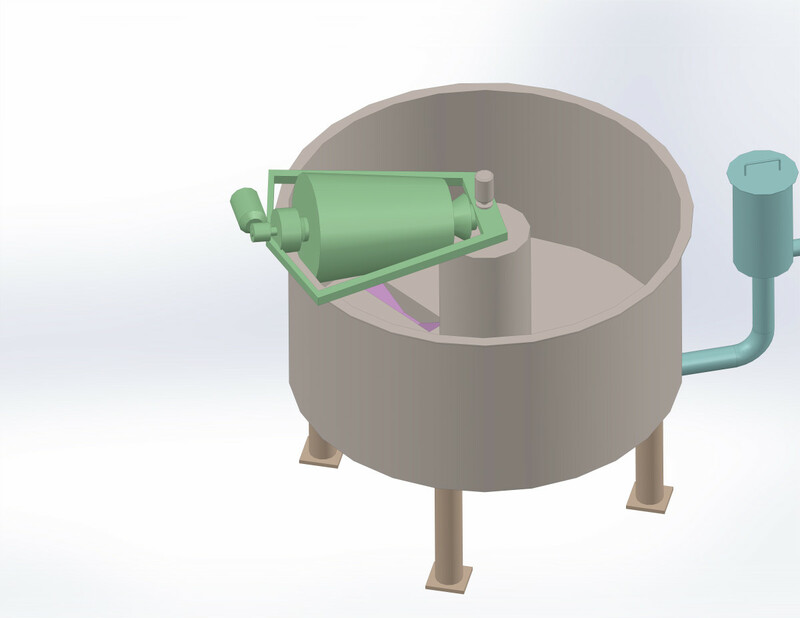 The settled particles are conveyed by a bottom scraper in a sump in from where they are discharged by an automa­tic valve. A lateral scraper is installed for the cleaning of the sidewalls of the tank.